Builders Tubes are designed for making round concrete columns to support decks and fences. Use the Marshalltown 30 in. x 5 in. Fresno Trowel in sealing concrete before it dries. This trowel is handy for covering larger areas and eliminates the time-consuming use of a finishing trowel. PEAK chain link fencing provides the ultimate in quality, durable, and cost effective fencing for your home and yard. Install it, then forget it -- nothing is more maintenance free. 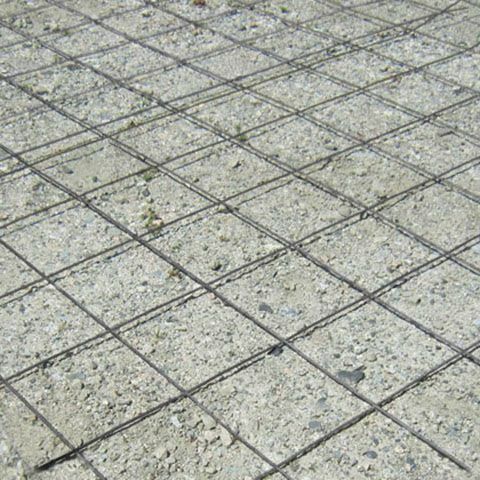 Wire Mesh 9/9g x 6 Inch x 6 Inch x 5 Feet X 50 Feet is rated 4.0 out of 5 by 1. Rated 4 out of 5 by Wendax from Good, but what happened to galvanized? For it's intended use, in concrete, the bright steel mesh works great. Last year we bought the same mesh but galvanized from Home Depot for $120 and loved it for above ground garden applications. Now it is no longer in your system. We were wondering if that was specially made for Home Depot or who the supplier was? We've searched for it without luck this spring and painting the regular steel to prevent rusting is a pain.